Soufeel has the perfect pieces to help you gift exquisitely, this holiday season. I was provided another Classic Silver Bracelet (I choose the right length, this time), a basic snake chain with a click bead clasp and five beautiful charms to share with you and add to my own charm collection. 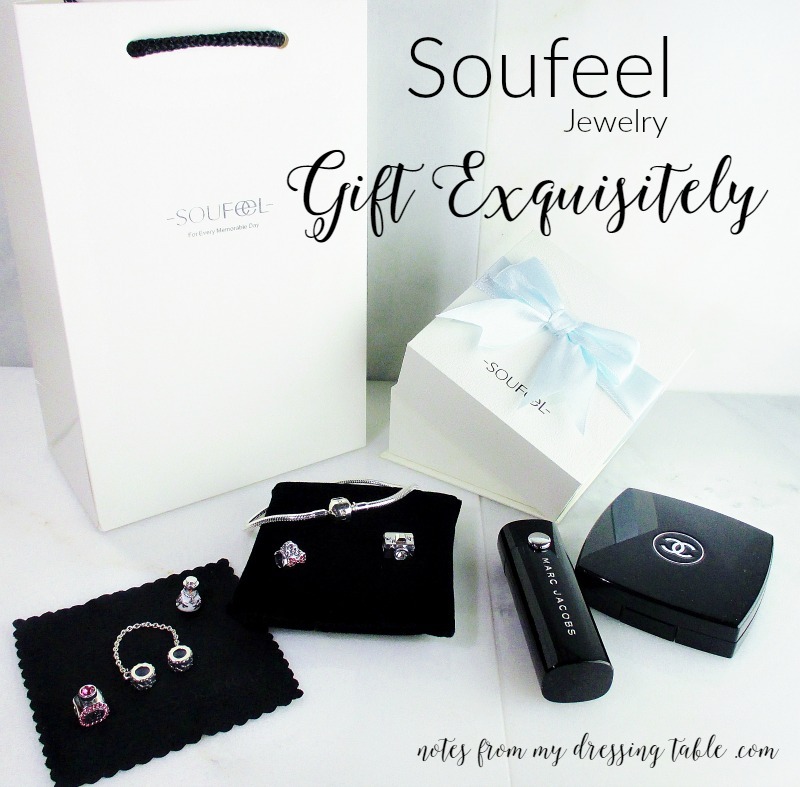 Every Soufeel jewelry item comes with a beautiful presentation gift box, a gift bag and polishing cloth to help keep your silver pieces bright and shiny. Soufeel charms and bracelets are sized to be compatible with Pandora and other popular European style charm bracelet brands so that if you want to, you can mix and match. Check out the collage below and see the charms I chose and all of their beautiful details. S Shape Safety Chain Stopper This charm snugs securely up next to the clasp on either side and is held in place with rubber rings. This stopper serves dual purpose, it keeps my bracelet on my wrist, should the clasp fail and it holds all of my charms on my bracelet so that they don't all slide off of my bracelet when the clasp is undone. Snowman Charm I chose this little guy because irony. I. Hate. Snow. with a velvet passion. This little dude rides my bracelet and mocks me. Yes, I have a strange sense of humor. Vintage Camera Charm This adorable charm is perfect for anyone who loves photography, whether they are, like me, a passionate beginner or a true pro. The clear crystal lens adds sparkle and all of the details make me think that I could take tiny pictures with this charm! Unfortunately, the handbag charm with red crystal bow and the perfume bottle with pink crystals seems to be sold out, right now. If you love them, keep checking the website, they often bring charms back. 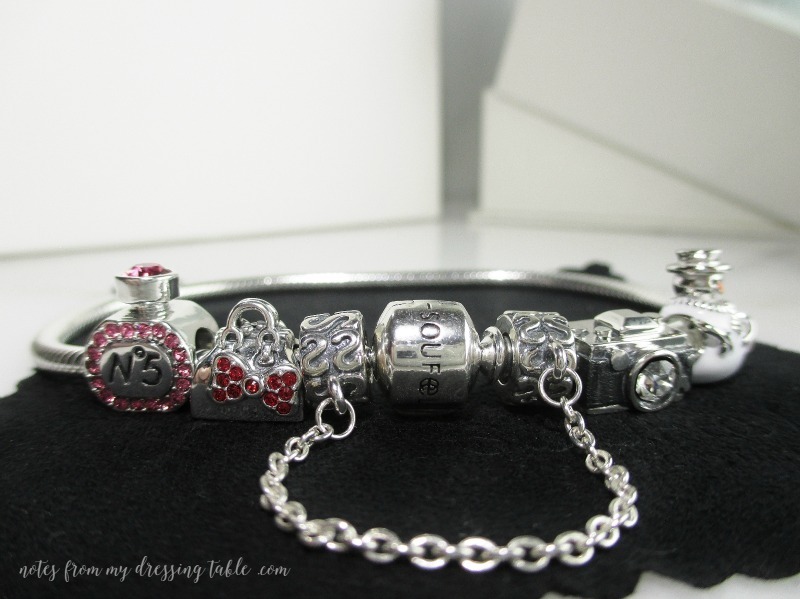 Here are all five charms together on my new bracelet. I know what you're thinking; Those charms don't make up a very cohesive design. They weren't meant to. I chose them to add to my charm collection. I'll be sharing a couple of new charms I recently bought and my full bracelet in a post, soon. 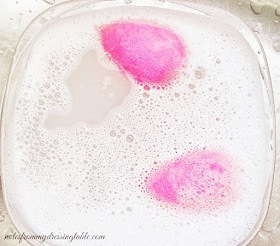 Wait until you see them, they are adorable and perfect for a beauty junkie! I have a long wishlist of charms and stoppers that I still want to buy. I'll need to start another bracelet, soon. Stacked charm bracelets? Yassss! Who knew that collecting little silver charms could be so much fun? I love my Soufeel bracelet. I think that it would make a perfect gift for someone you love or yourself. Do you own a Soufeel bracelet or other jewelry pieces? How much do you love them? Share a picture in a comment, if you'd like to. This clearness with your post is eminent and that i may believe you're a master for this issue. Despite everything it might require cleaning, however. Holiday Fashion Flash: Fabulous after Forty! 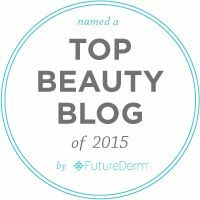 Beauty Blog Coalition Blog Hop Giveaway!